granting “equal access” to anti-military, “counter-recruiters,” including self-declared “revolutionary” organizations, in Portland Schools at “Career Day” and other forums at which military recruiters have access to students pursuant to law. RESOLVED, that American Legion Post No. 1, Portland, Oregon, opposes and calls for the rescission of the policy of the Board of Education of the Portland Unified School District known as “Providing Equal Access To Military Counter-Recruiters in High Schools,” established by Board Revised Resolution No. 4503, on the basis that said policy on its face constitutes unconstitutional view point discrimination by allowing equal access for expressive activity only to anti-military and/or pro-revolutionary organizations based on their viewpoint as “Military Counter Recruiters,” while that policy upon its face denies equal access to recruitment forums by pro-military, patriotic organizations, including the wartime veterans of American Legion Post 1 based on their view point. BE IT FURTHER RESOLVED that if the Board of Education refuses to rescind its policy based upon view point discrimination, that the Board of Education should grant to The American Legion Post 1 equal access and equal right to engage in speech and expressive activity as is granted to anti-military and/or “revolutionary” organizations designated as “Military Counter Recruiters” and hand-picked by the Board based upon point of view. 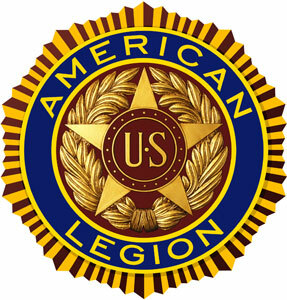 BE IT FURTHER RESOLVED that the Post 1 Adjutant is directed to transmit this Resolution to the Board of Education of the Portland Unified School District, and to each officer and member of said Board of Education, each of whom is responsible for the establishment and maintenance of the discriminatory and unconstitutional non-"Equal Access" policy based upon point of view challenged by American Legion Post 1. Besides limiting “equal access” to “counter-recruiters, only, the School Board’s policy provides for propaganda of anti-military, and/or pro-revolutionary organizations to be distributed by the schools not only to students, but to parents. 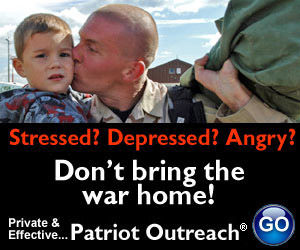 More specifically, the policy provides: “Each high school should be provided a packet of information from counter-recruiters about military service, including information for parents and students on their rights to privacy from military recruiters, information about the practices of military recruiters and the full range of service opportunities upon graduation. (Recitals, Sec. D; Resolution Sec. 1; emphasis added). As to whom the School Board policy grants “equal access” and rights of speech and expression in recruitment forums inside the schools, the Board’s Resolution No. 4503 makes clear on its face that those rights are granted only onto those hand-picked individuals and organizations with whose view point the School Board agrees, to the exclusion of all others. It is significant, I believe, that in identifying the organizations who would meet the board’s “counter-recruiter” limitation, the Board failed to include the War Resisters League, which was a leader in pushing for the “equal access” policy, whose representative testified for its adoption, and which openly identifies itself on its website not as merely anti-military, but as a self-declared “revolutionary organization,” seeking the overthrow of the United States’ form of government, albeit by allegedly “non-violent” means. As a longtime constitutional attorney, veteran, and a Life Member of The American Legion, I testified, as an individual, against adoption of the policy at the School Board at its meeting at which the vote was taken. I objected that, in my opinion, the policy is facially unconstitutional as “view point” discrimination, and would lead to costly and unnecessarily litigation. Indeed, even the “Oregonian,” while not calling for immediate rescission, criticized the School Boards’ adoption of the “equal access” for “counter-recruiters” only policy as unwise. 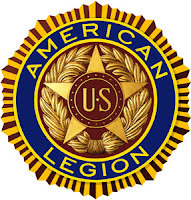 Now, the veterans of American Legion Portland Post 1 have taken a stand against and challenged the School Board’s “counter-recruiter” policy, calling for its rescission; or, failing that, inclusion of representatives of American Legion Portland Post 1 in the recruitment forums.